The Village Marina Park Complex is located at the end of Adams St. It features 3000 ft. of frontage, sandy beach, swimming, bathhouse, walking paths, boardwalks, boat launch docks (130), fishing and a playground for youngsters. 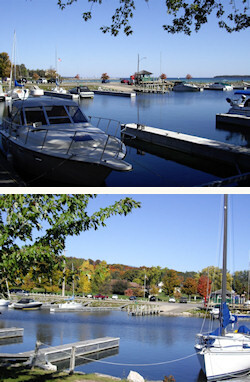 The marina property hosts key event throughout the year including the prestigious Suttons Bay Art Festival.